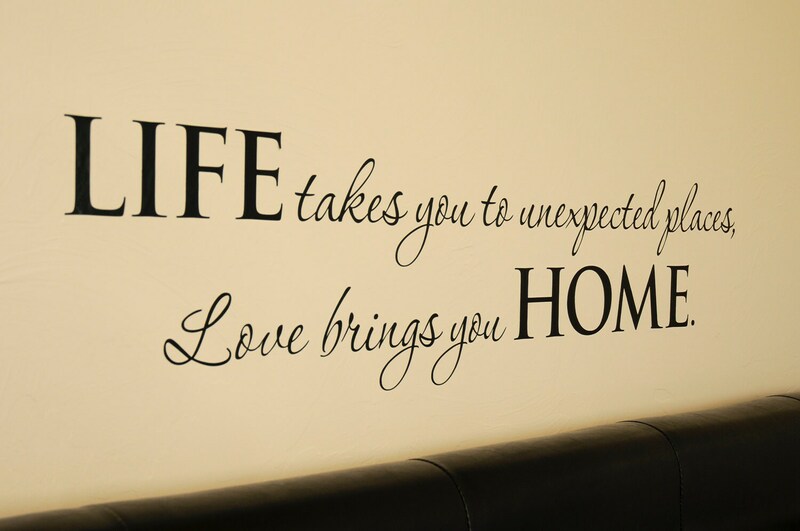 This "Life takes you to unexpected places, Love brings you Home" wall decal will look great over your bed or in any room! Our awesome wall decals give the illusion of a painted graphic when applied to your wall. Perfect addition to complete the look I wanted for the living room. The decal looks amazing and clean. It was very easy to use and he gives you two decals. Highly recommend and will use in future!